We all have to give projects digitally or otherwise all struggles to make it interesting with the use of colourful related pictures and vectors. 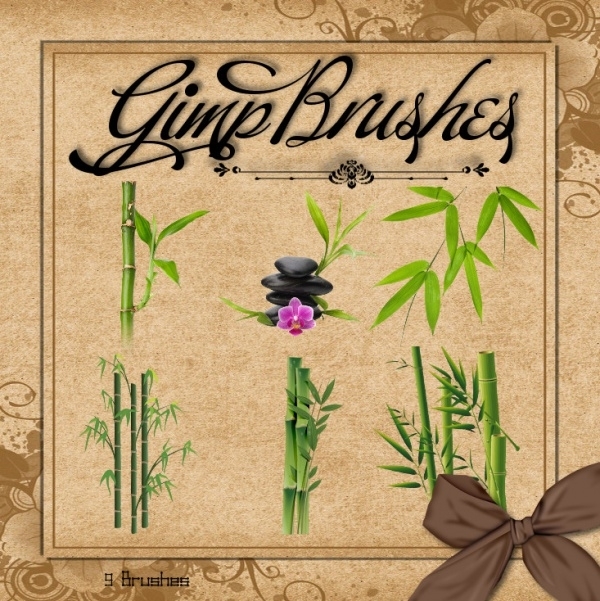 Here are a set of flower brushes and leaf brushes, which are realistic and beautiful for your perfect project. These vectors are made in PSD format, in clear layers, and so they are easy to edit and format, to suit your project or presentation needs! 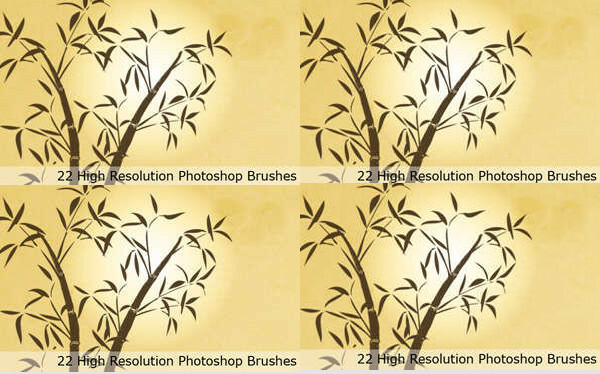 This set of high-resolution bamboo brushes are clean and is available in various sizes and shapes like bamboo shoots and leaves. This also has various angles, useful for projects. 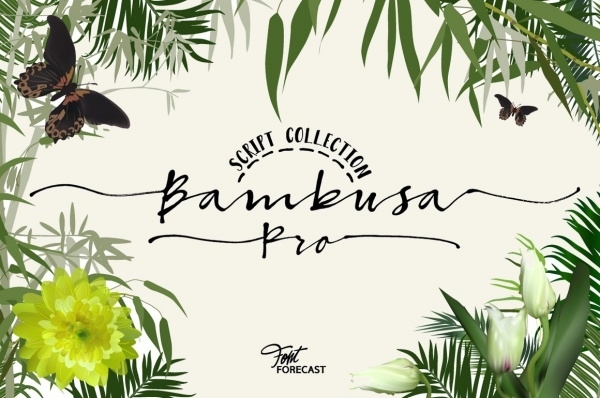 This cool Photoshop brushes are trendy and modern, with its gradient background. The style is unique and is useful for many projects. 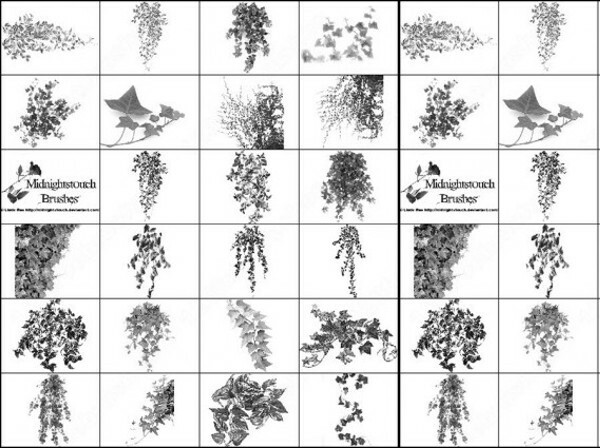 These set of nature Photoshop brushes are clear and beautiful, available in high resolution. They can be used for websites and nature related projects. This can be described in one word, beautiful. These set of natural leave brushes and large flower brushes are well done. This template has a set of four calligraphic fonts, which can be changed and used as per the need of the company. This is again useful for presentations and projects. 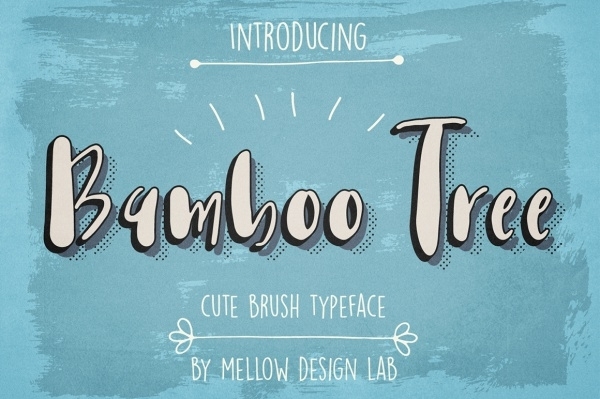 This cute leaf brush has a hand lettered font, which is attractive and catchy to the eye. The bubbly font is modern and semi-formal in nature, useful for similar projects. 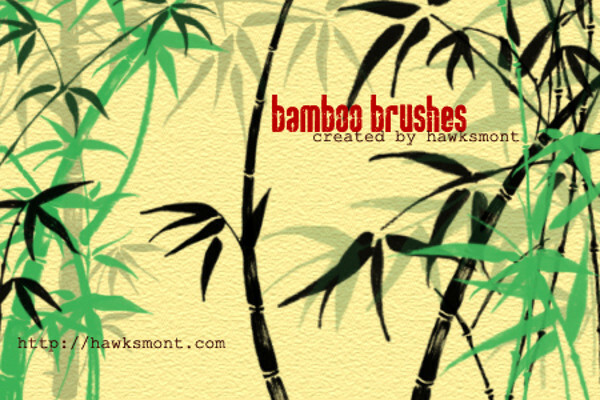 These Photoshop bamboo brushes are available for editing in GIMP. They can be used for both personal and business use. The use of subtle and natural colours make this attractive and catchy. 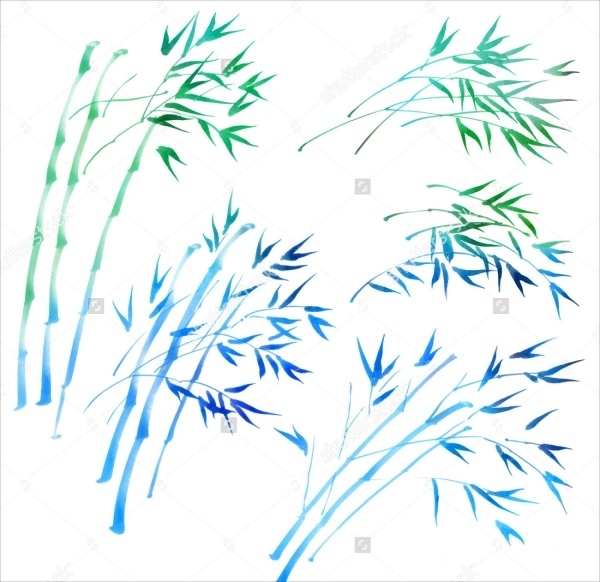 This set of green and blue bamboo shoot brushes are beautiful and can be used for various reasons, in websites, posters or presentations. This is available in high-resolution and has a look of this image being drawn with ink. 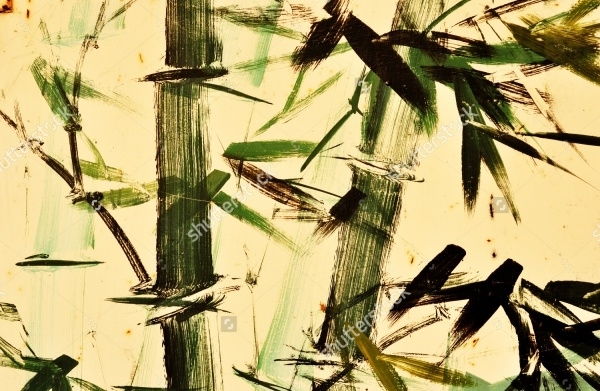 This realistic bamboo shoot painting is realistic, with its texture of brush strokes. This concept can be used to picture a scenery, using these leaf brushes and riverside brushes, and can be used for various projects. These realistic brush stroke paintings are hand drawn and then fed into Photoshop. This looks very real and beautiful, inspired by the Chinese art. 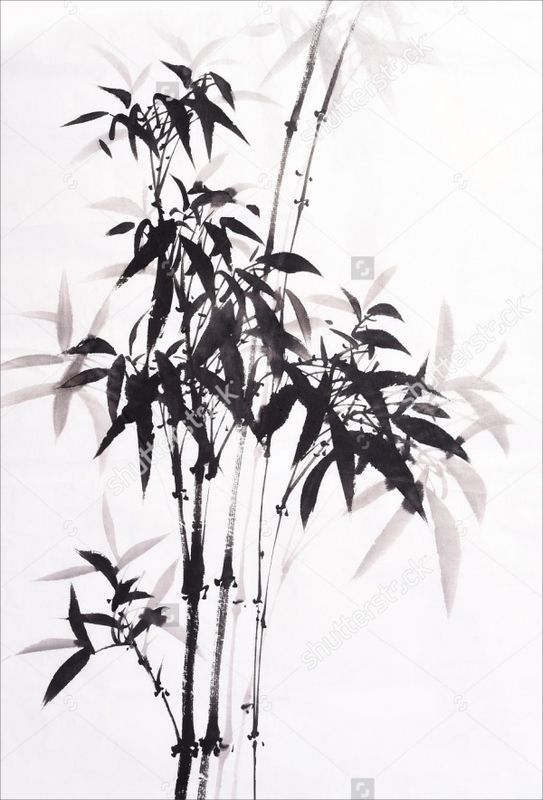 This realistic bamboo painting is hand drawn on paper and black ink, and then fed into the Photoshop for digital use. They are available in high resolution and in various sizes to fit the needs of your company. 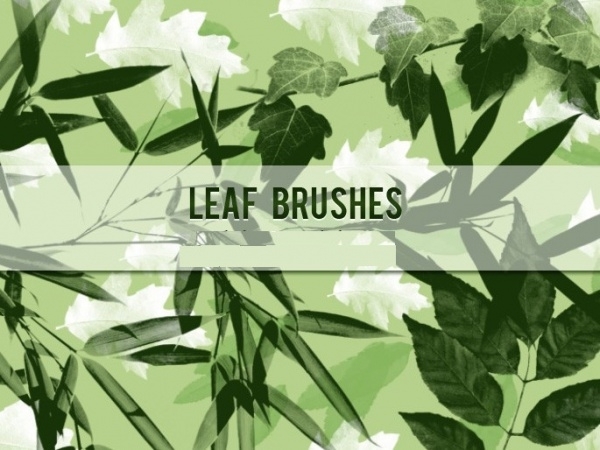 These pretty leaf brushes are available in a set and have the texture of watercolours. They are realistic too. 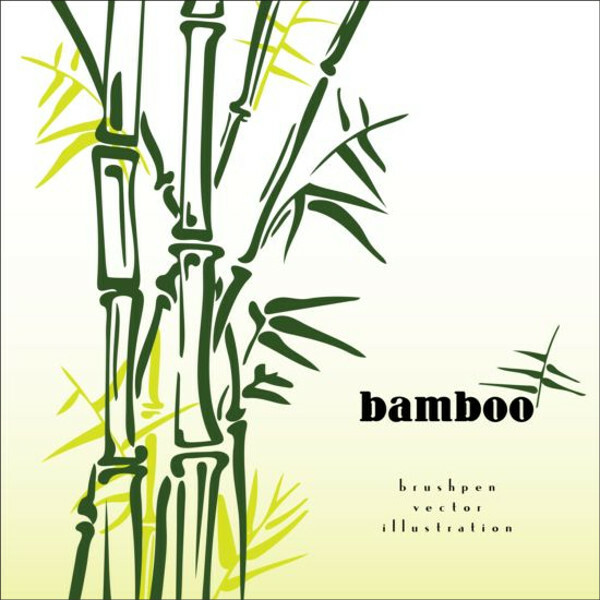 This classy bamboo shoot vector is made in two shades of summer green, making it attractive. 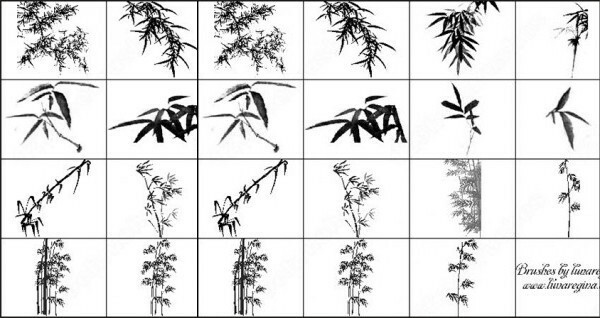 These set of brush painted bamboo leaves have a Chinese touch to it and are available in high-resolution. 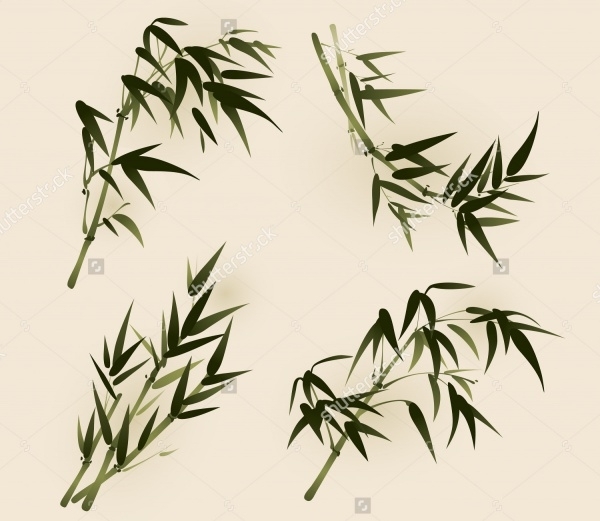 These simple bamboo leaves are black and in various shapes, which can be used for posters or projects. 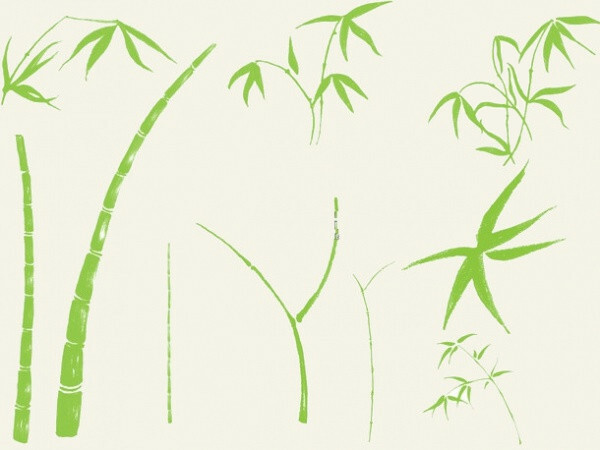 Customize your project by making use of these cool bamboo shoot brushes and other tree brushes, and make your presentation as natural as you want it. There are various brilliant flower brushes, which are realistic to the last petal! They are beautiful and easy to use and edit. Get creative!